By now, most assume that Jim Hendry, though under contract through 2012, will be out as Chicago Cubs’ General Manager after this season. 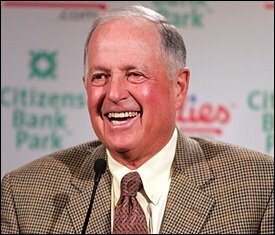 Speculation persists that owner Tom Ricketts might hire Hall of Fame inductee Pat Gillick as club president. In theory, Gillick could retain Hendry, and the two could work together to fix the club. But the entire idea seems far-fetched; Cubs fans want change, and both Hendry and manager Mike Quade seem likely to be replaced. 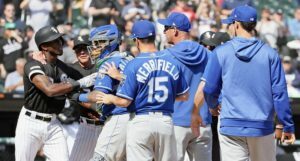 The real intrigue would begin once Ricketts began his search for a new GM. White Sox assistant GM Rick Hahn is generally regarded as the game’s leading GM candidate, but many in the industry believe that the Cubs’ job also might draw interest from some of the game’s top current GMs. 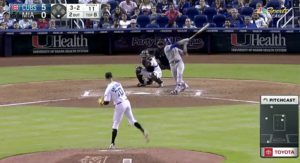 Phil Rogers suggested some weeks ago that Hahn was a likely GM candidate for the Cubs after the season, so you can expect to continue hearing his name. I hope you can get past the White Sox thing. Speaking of Hahn as an up-and-comer, Will Carroll put together a list of some of the top up-and-comer types, many of whom the Cubs are likely to consider for a GM opening. 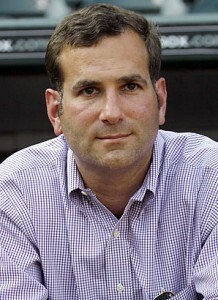 The list includes Hahn (at the top), as well as Rangers’ Assistant GM Thad Levine, Giants’ VP of Baseball Ops Bobby Evans, Yankees’ VP of Amateur Scouting Damon Oppenheimer, Dodgers’ Assistant GM DeJon Watson, Braves’ Director of Baseball Administration John Coppolella, Pirates’ Director of Baseball Ops Tyrone Brooks, Indians’ Assistant GM Mike Chernoff, and MLB Senior VP of Baseball Ops Kim Ng. Kaplan came to the Cubs only recently, as the club works to “modernize” their scouting approach and philosophy. Other names you’ll continue to hear as the front office rumors heat up later this year include Padres’ Director of Baseball Ops Josh Byrnes (which we discussed here a few weeks ago), Red Sox Vice President of Player Personnel Ben Cherington, as well as a number of current GMs, including the Yankees’ Brian Cashman and the Tigers’ Dave Dombrowski, each of whom are “free agents” at the end of the year. 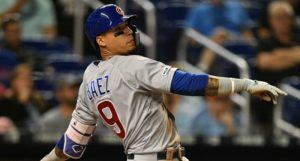 Previous PostPrevious post:Aramis Ramirez Says He Won’t Approve a Trade Until August – But Why?